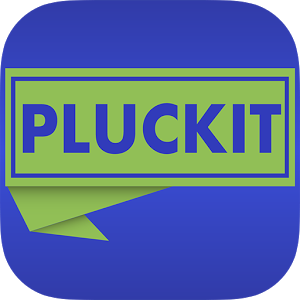 A new App for bargain hunters in DC comes from Pluck It - who have been getting rave reviews following their October 2014 launch in Bethesda. 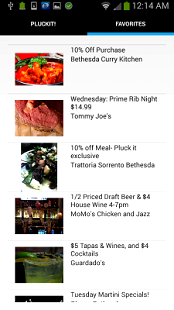 Pluck It ties into your phones GPS and gives out information on deals within a one-mile radius. "They are currently adding restaurants with businesses in the Chinatown, Dupont, Georgetown, Friendship Heights, and K Street areas." and are planning to add 5 -1 0 new places weekly. "We are a Free Deal, Event, and Rewards App designed to save people money while helping businesses of all size. Unlike our competitors we do not charge the business and as a result we get better deals and a higher quality of businesses signing up". Plans are in the works that will allow people to search by a specific area and once they're large enough to just search by specific types of Restaurants, Retail, or Services. As a startup they have been involved in a lot of the events that are happening and that have happened, they took part in Zipcar's anniversary Startup Drive Through in Dupont and attended Collaborate by Fosterly in D.C. last month. They have some great local D.C. businesses on the app and while they are expanding in Virginia and Maryland they are spending 2/3rds of their time expanding the D.C. restaurants, services, and retail on the App.